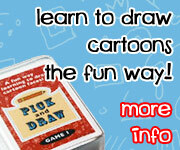 We continue our Dr Seuss week with another fun activity we did this week! My girls just love Green Eggs and Ham . It is the most read book at our house right now. My middle learned and memorized the pages so she could read it. I decided it was time to challenge what she did and did not know when she read the words. I got all 50 words words from the Green Eggs and Ham.. I got them from the following post at CNN about Dr Seuss. I am in no way associated with Dr Seuss and the word list is free to those that way to use it. What you need: Green Eggs and Ham , 50 words from Green Eggs & ham, green & white pom poms, and Green and white yarn. The first time through with the words I read the book and they color the square or covered them with glass gems. Both of my girls loved it. We also saw where I was missing words or had them out of order on the paper when doing this. It frustrated them and me. I thought I had it all right the first time and did not. After the reading, we did the sensory bin. They matched up the green word cards to the plan white paper. It was fun to see and even Mary was interested in matching words as well. It took them a bit to do it but was loads of fun for all of us. This was a great test of her knowledge of reading the words not in the book. She struggled with a few words but did okay in the end. After finishing the sensory bin we made some sentences from the book as we read. Then we made our own sentences using the words from the book. This was a very fun activity and worked on learning the words not just memorizing what was on the pages. This entry was posted in learning to read, sensory bin and tagged dr seuss, learning to read, printables, reading, sensory bin. Bookmark the permalink. What a fun sensory bin! Pingback: 22 Dr Seuss Food & Craft Ideas #CatInTheHat - Mom, Are We There Yet?